Bring a large pot of water to a boil, cook the pasta according to the package directions. 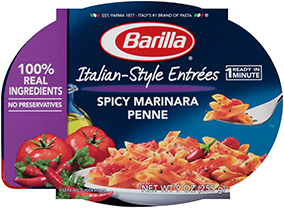 Meanwhile in a large skillet heat the Barilla Traditional sauce with butter, salt and pepper. Remove from the heat and add cheese and basil.